Good in good dust jacket. A slight tan to the page edges. Ex Library Book with usual stamps and stickers. Good condition is defined as: a copy that has been read but remains in clean condition. All of the pages are intact and the cover is intact and the spine may show signs of wear. The book may have minor markings which are not specifically mentioned. Most items will be dispatched the same or the next working day. Very Good. Offers reflections on personal and collective identity, on home and family, on literature, language and politics, and on the author's lifelong attempt to reclaim the definition of 'Africa' for its own authorship. 192 p. Penguin Modern Classics . New. 2011. Paperback. 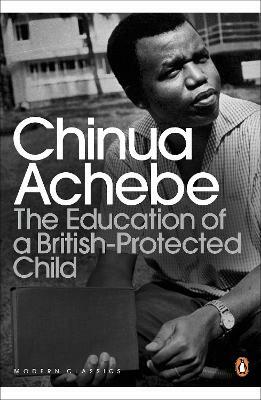 Gives us a portrait of growing up in colonial Nigeria and inhabiting its 'middle ground', interrogating both the author's happy memories of reading English adventure stories in secondary school and also the harsher truths of colonial rule. Series: Penguin Modern Classics. Num Pages: 192 pages. BIC Classification: 1HFDN; BM. Category: (G) General (US: Trade). Dimension: 197 x 152 x 12. Weight in Grams: 148......We ship daily from our Bookshop. New. 192 p. Penguin Modern Classics .